Manufacturer and exporter of surgical orthopaedic implant, bone plate screw. Our Feature Products are our Special products, surgical instruments, postmortem instruments, dental instruments, orthopedic instruments, titanium instruments, ophtalmic instruments, scissors, saws, knives, forceps, chiesls, scalpel handles, scalpel knives, spatulas, tuning forks, tweezers, etc. We are provided services of surgical procedure, hemostasis, etc. 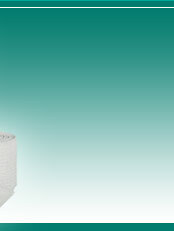 Manufacturers and exporters of surgical disposable and orthopedic implants. Amazon Health And Medical Tourism Pvt. Ltd.
We are provided services of cardiology, orthopaedics, neuro surgery, opthalmology, transplant, urology, cancer, cosmetic surgery, dental care, gastric banding, varicose veins, general surgery, endoscopy, gynecology, pediatric surgeries, skin treatment etc. » Send Enquiry to Amazon Health And Medical Tourism Pvt. Ltd. Engaged in manufacturers & exporters of medical products such as alcohol swab, premium alcohol swabs, lancet needle steel, lancet needle plastic, prep razor, skin blade, needle & syringe destroyer, manual needle & syringe destroyer, cord clamp, face mask, caps non-woven, surgical gloves. We are one of the leading manufacturer, supplier and exporters of beauty care, surgical and dental instruments. Wholesale supplier and producer of surgical equipments, hospital & medical equipments, retractors, medical equipment, hospital surgical equipment, microsurgery implants, facial surgery implants, facial straight plates, laboratory kits, medical microscopes, diagnostic sets, medical equipments, portable suction units, autoclaves aluminum. We are leading manufacturer trader & exporter of surgical sutures, catgut, pga, silk sutures, nylon sutures, polyester sutures, polypropylene sutures etc. .
» Send Enquiry to Bentley Healthcare Pvt.ltd. Dealer, suppliers and exporters of medical equipments, portable suction units, autoclaves aluminum, surgical equipments, hospital & medical equipments, retractors, medical equipment, hospital surgical equipment, microsurgery implants, facial surgery implants, facial straight plates, laboratory kits, medical microscopes, diagnostic sets. » Send Enquiry to Blueneem Medical Devices Pvt.ltd. Brain Sialkot are engaged in manufacturers and exporters of dental equipment, dental instruments, surgical instruments, beauty care instruments, scissors instruments, all kinds of surgical instruments, dental instruments, beauty instruments, orthodontic instruments, orthopadic instruments and veterinary instruments, etc. We are leading manufacturer and exporter of surgical instrument, medical stapler, medical device, surgical suture, surgical stapler, circular stapler, hemorrhoids stapler, pph stapler, linear stapler, linear cutter stapler, gia stapler, skin stapler, curved staple. » Send Enquiry to Changzhou Haiers Medical Devices Co., Ltd.